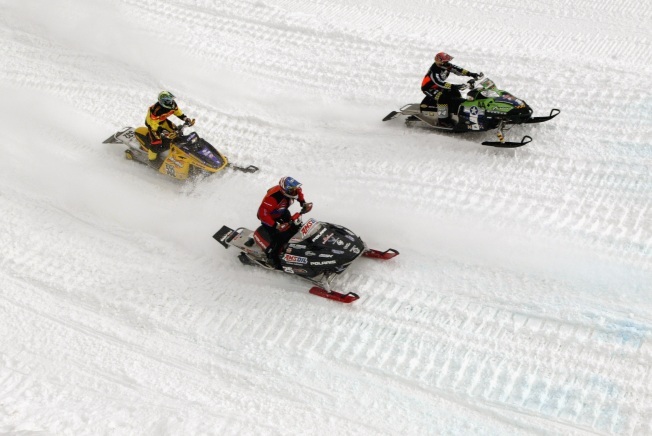 New Hampshire Fish and Game officials say two snowmobile operators were treated for serious injuries in separate crashes that happened within minutes of each other in Pittsburg. Crews responded to a report of a snowmobile crash on Trail 138 in the Carr Ridge area around 12:40 p.m. Sunday and found Thomas Anderson, of Bedford. Officials say Anderson had been knocked unconscious after failing to turn a corner. His snowmobile left the trail and hit a tree and boulder. He was airlifted to Dartmouth-Hitchcock Medical Center in Lebanon. The second crash occurred around 12:45 p.m. in the area of Smith Brook on Trail 20. Authorities say William Dalling's snowmobile apparently rolled over as he was braking to avoid other riders who had stopped unexpectedly. The Lempster man was hospitalized.